One of the things our bathrooms has got to have is toilet paper. Of course, we’d only want the best quality material for comfort. We also would want to avoid irritating our skin by choosing a mediocre product. Because there are many brands of toilet papers online, we’ve made a guide on how to choose toilet paper. We’ve also included a list of the best ones you can get online. 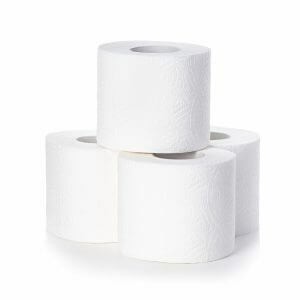 Before we go to our list, let’s talk about the essentials of choosing the best toilet papers online. These are important reminders you need to check before buying one. So grab your pen and paper and start taking down notes! The first thing you need to keep in mind is the durability or strength of the toilet paper. 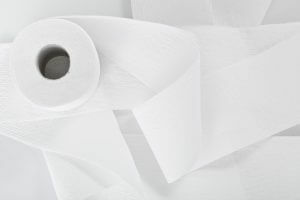 Although papers are naturally weak on water, toilet papers need to fulfill its wiping and absorbing duty on damp, at least. The more absorbent the paper is, the better. Another thing to check also is if the paper does not tear apart easily regardless if it’s wet or not. You don’t want to buy toilet papers just to tear it into pieces, right? The strength of the toilet papers matters greatly! Next to durability is the toilet paper’s softness. We all want to experience as much comfort as possible, especially with women. Is the toilet paper soft enough to give you the convenience you want? If it’s a yes, then good job! If it’s a no, then change it! Don’t settle for anything unless your satisfaction is achieved! Toilet papers are chemically processed, and we want those that cannot trigger infections and the likes. To make it to the market, these recycled toilet papers need to be as white as possible. However, it would only differ in the chemical content being used – with bleach or none. Therefore, choose those that were whitened without using chlorine. Chlorine is not only harmful to the environment, but it is also harmful to our health. So check the chemical ingredients in the toilet papers first before purchasing it! The last thing you don’t want to miss when checking out toilet papers is the number of plies per sheet. We all have our own preference. Some would want thinner sheets with 2 plies only. Others prefer thicker sheets with 3 plies. 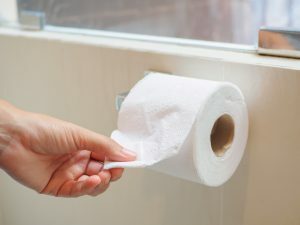 Of course, we are always attracted to toilet paper rolls that are abundant in sheets, but it would only differ primarily in the thickness of each sheet. So which do you prefer? In most cases, we, as consumers, value the brand of the products we purchase primarily because leading brands have a higher assurance of quality. Another thing is we give our loyalty to brands we have developed a liking to. This idea is also true in choosing toilet papers online. We want to have the best quality we can get with a reasonable price, which is a common principle among Filipino consumers. For this reason, you must check which brands on the market have high demands because through that, you will have an idea that their products are liked by many. Out of curiosity, you would want to know why these brands are in demand. One last thing to keep in mind when choosing a toilet paper online is how you will utilize the paper. Although the primary usage of toilet papers is for the bathroom, there are many other things you can utilize it with. For example, if you will buy toilet papers for baby needs, you will surely buy those that are softer, stronger when wet, and coreless. You would want something baby-friendly to keep your child away from any infection or health problems triggered by toilet papers. Another common example is for travelers. The ideal tissue paper you should buy is the one with no paper roll if possible because it saves more space in your bag. You surely don’t want to keep on removing the roll whenever you travel because it gives you so much hassle. However, for bathroom use, you might want to purchase something with rolls because you can simply place it inside your toilet paper holder. They are also very handy. Or if you don’t have a holder in your bathroom, you can let it stand somewhere dry. 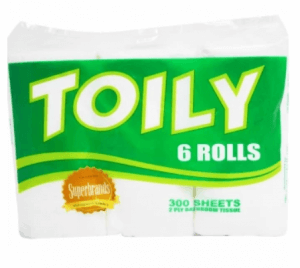 At this point, we have finally reached our list of the best toilet papers online. Here, we will present each item thoroughly so you can come up with a better assessment of which is more comfortable with your use. The first toilet paper on our list differs chiefly from others because this is recommended for baby use. Its softness and gentleness will not harm your baby’s smooth and angelic skin. It’s a 2-ply tissue that is made of 100% virgin pulp, which is the key to its softness! This wonderful toilet paper is produced with micro-embossed cores that give a smooth and gentle final product. However, this tissue may not be ideal in your toilet paper holder because it does not have a paper tube. This 2-ply toilet paper lets you live a soft and comforting bathroom life at home. Whether you’ll use it for your kids or for your own personal use, it perfectly provides good comfort! It comes in 6 single rolls, great for more than a week of use. Each roll has 230 sheets that are gentle to touch and soft to use. This amazing bathroom tissue does not have any harmful chemicals that can trigger infections and can harm the environment. However, its texture is made really soft, you may have to double the amount when you use it on water spillage. 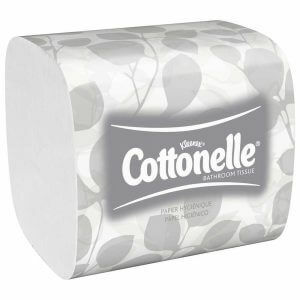 This 2-ply bathroom tissue gives the best comfort to the whole family. It’s a recommended toilet paper for families, regardless of the size. It’s also good for babies to use! 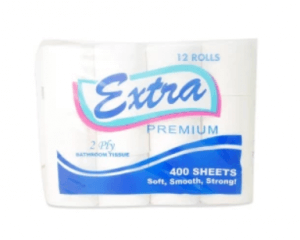 It comes in 6 rolls, and each has 300 sheets, a great number for the entire family. It is also a top-quality toilet paper and has been awarded as one of the superbrands in the country. Although it assures the best quality, it is only sold at a reasonable price to fit in with every Filipino family’s budget! Its sheets are soft with no harmful chemicals included. Despite the brand’s declaration of “no harmful chemicals” included, this bathroom tissue may cause itchiness, at some point, to users with very sensitive skin. 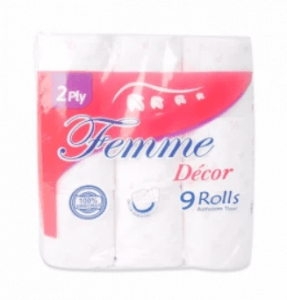 Femme Décor Tissue is created to give comfort to teenage girls and adult women, especially when they have their period. Its sheets have a floral design that suits each Filipina’s femininity, regardless of age. This is a 2-ply tissue and is made of 100% virgin pulp, which is the key to the comforting feeling it provides! Its Décor-embossing technology prevents sheets from breaking apart easily for better durability. No wonder it’s a great use for Filipinas who have their periods! The only disadvantage of this tissue is the last few sheets are glued to the tissue tube, which causes unwanted tearing of sheets when pulled. This 2-ply bathroom tissue is made strong for a better performance with a very affordable price. 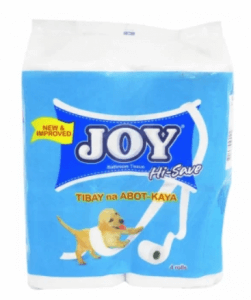 It is also best for Filipino families, of all types, who need stronger toilet papers that can do powerful wiping. The tissue paper pack comes in 4 rolls, perfect for a week or less of use! 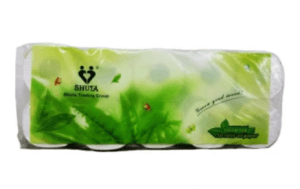 The brand promises a top-quality tissue paper, which gives joy to every member of the family! Each sheet is soft to use with no harmful chemicals in it. Although this pack is less expensive for the family, it may not be enough to use for more than a week, depending on the size and usage frequency of the family. This 2-ply bathroom tissue provides you a premium and top-quality performance! It is a good choice for everyone, from babies to seniors! The toilet paper comes in 12 rolls, and each roll has 400 sheets, which every Filipino will enjoy using. Each sheet promises a soft, smooth, and strong feeling each time you use it. It also assures a very convenient and nice feeling with every use. Everyone will eventually get a premium experience anywhere around the house and everywhere. However, a roll may be too bulky for a standard toilet paper holder. 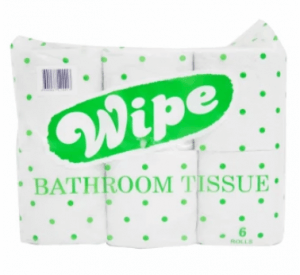 Wipe Bathroom Tissue ensures that you experience the most comfortable wipe you can get from toilet papers. This is also recommended for Filipinos of all ages, from babies to seniors! It offers a top-quality performance with a very reasonable price, best for everyone. It’s soft to use and has no harmful chemicals that can cause any skin problems. The package includes 6 incredible rolls, which is ideal for a week or more of use. However, many might find the packaging unappealing and not trustworthy at first look. 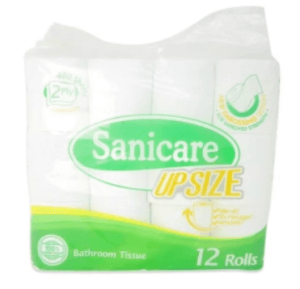 Sanicare is one of the leading brands in the country that produces high-quality toiletries such as this bathroom tissue. It’s made of 100% virgin pulp, which gives excellent softness for greater comfort. This is perfect for everyone too, from babies to adults! 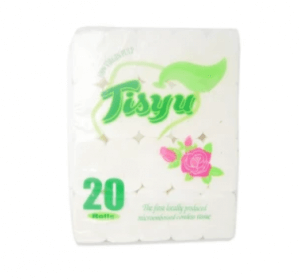 It’s a 2-ply tissue that is laminated to provide you better durability and strength. With its up-size feature, you’ll take advantage of a taller roll and 10% more paper! Its wonderfully decorated sheets make it look comforting and luxurious at the same time. However, its décor-embossed design may not be appealing to others who only want plain sheets. The number 1 on our list makes sure you’ll get the best comfort and care anytime and anywhere. 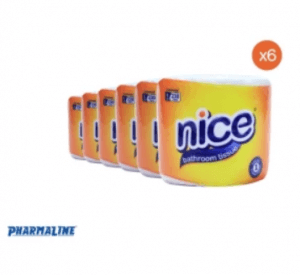 The package comes in 10 rolls, perfect for a long-term use! This toilet paper is a great option for everyone in the family. It’s highly recommended for babies, young adults, adults, and seniors! It’s made of green tea extracts that make it softer to use with great strength and quality. This brilliant toilet paper is also safe to use on face, which has a more sensitive skin. It can also remove your makeup without leaving any residue when wet. However, this may be less appealing to users who do not want “flavored” sheets. Choosing the right toilet paper for your home use, or anywhere, also needs thorough review if you want a good one. Like other home items, there are many toilet papers on the market today that are very promising and convincing. However, with our recommendation list, you’ll surely have a good view of which is truly promising that can be a perfect fit at home. Good luck!